Black History Month is a time for Americans to pay close attention to our history. Fortunately, there are authors and illustrators who have done an exceptional job of researching and telling stories that compel children to ask questions and learn more about a part of our history that should not be forgotten. This noteworthy book leads the reader through the days of the week as lived by slaves in New Orleans, Louisiana. Weatherford welcomes the youngest of readers to learn about slavery by using an engaging poetic pattern and a predictable text structure. The foreword, written by author Freddi Williams Evans, presents a detailed account of Congo Square’s history. 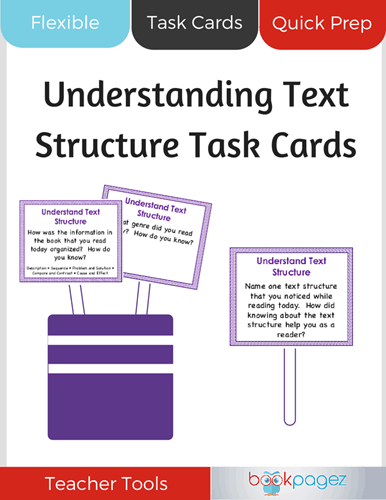 Use the “Understanding Text Structure Task Cards” to explore the poetic format the author uses to teach readers about slavery. Did you know that Susan B. Anthony and Frederick Douglass occasionally met to share ideas about establishing equal rights for women and African-Americans? Author Dean Robbins writes an intriguing story by employing a text structure that compares two extremely brave people. Create a Venn Diagram with students to compare and contrast the two significant difference makers in American history. 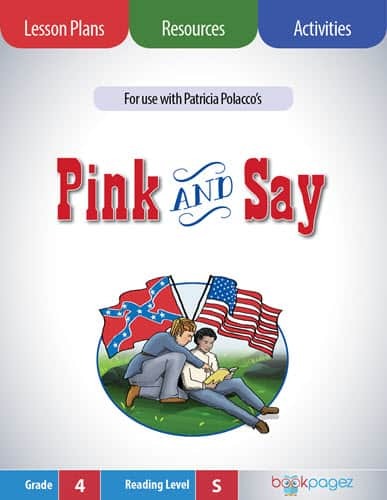 Learn about the civil war through the eyes of two young boys in this truly remarkable piece of literature. 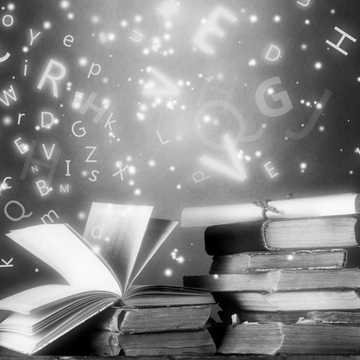 The heartrending story offers a vast amount of literary teaching points for units of study. 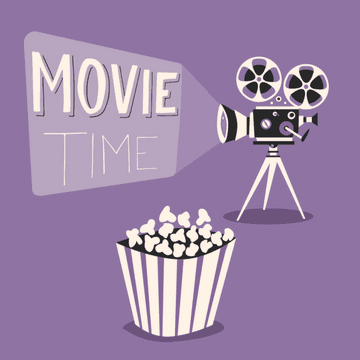 Children can practice questioning, inferring, and understanding author’s purpose as they connect with a story told with an authentic voice that you can almost hear as you read. Explore the extension activity in the Pink and Say Super Pack to support readers as they compare and contrast soldiers who were only boys. What is a Freedom Box? What is the Underground Railroad? Why does the boy on the cover of the book look lost? These are just some of the questions children will wonder about when they study the beautifully illustrated cover of this book. As answers to their questions unfold in the story, children will learn about the tremendous hardships slaves endured. Preparing for a minilesson focused on questioning is easy to do with the with this ready-to-go lesson plan from Bookpagez. Imagine running for your freedom in the dead of night, hypersensitive to the sounds of the dark, hoping to not get caught. You trust an obscured map sewn in a quilt to help guide you to safety. This is a story, told in verse, about how one young slave desperately ran for her life to find freedom. 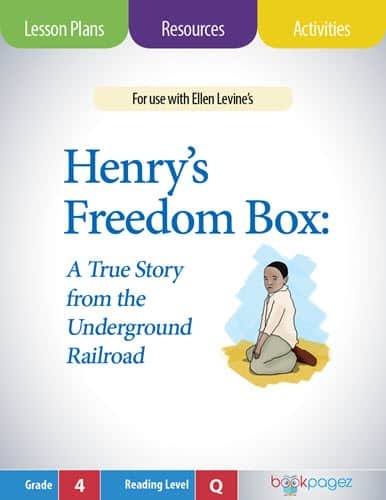 Pair this book with “Henry’s Freedom Box: A Story From the Underground Railroad” to compare the different ways in which brave African-Americans escaped slavery. 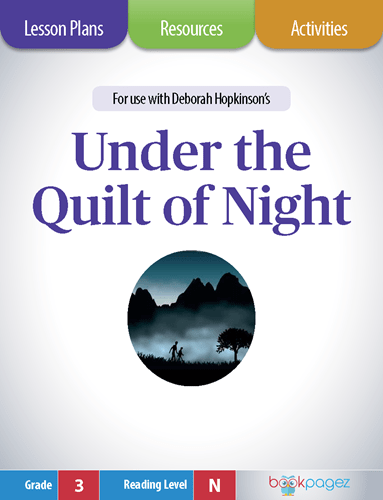 Download the reading comprehension lessons from the Under the Quilt of the Night Super Pack to help readers gain a deeper understanding of the story outlined in this picture book. There once was a bookstore that was like no other in our country’s history. The store was opened around 1930 by Lewis Henri Michaux where he sold books written by and about African Americans. Michaux wanted everyone to understand the power of knowledge. He encouraged his neighbors to read books, ask questions and learn more about events American history that should be remembered. Pair this book with “The Boy Who Harnessed the Wind” by William Kamkwamba; the perfect example of why reading for knowledge is powerful. Use the Retelling and Summarizing Task Cards for both books to practice using an essential reading comprehension strategy. When brave people plant seeds to make a difference, it takes courageous people to make the seeds grow. This story chronicles the peaceful, yet powerful, movements that occurred in Huntsville, Alabama in the 1960’s. The events in this book will provoke children to ask questions about a time in history that was not too long ago. 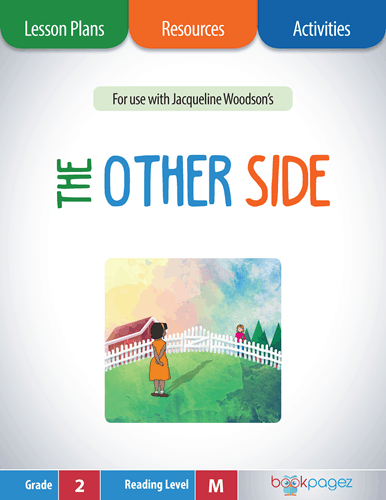 Pair this book with the Retelling and Summarizing lessons in The Other Side Super Pack to practice recounting the historical events that happened in both books. Author Doreen Rappaport has an extraordinary way of writing stories around important phrases spoken and written by historical figures. 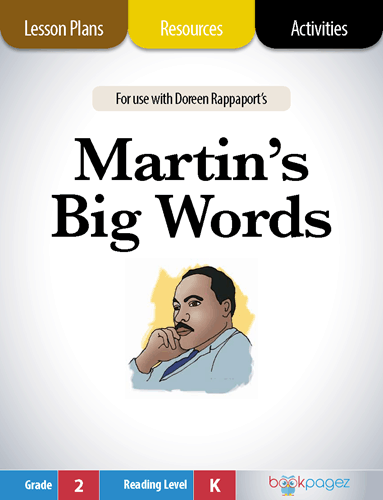 Marrying Rappaport’s talent with Martin Luther King’s quotes makes for an outstanding book about the Civil Rights Movement. Pair this book with other books written by Rappaport for a study in text structure and illustration. 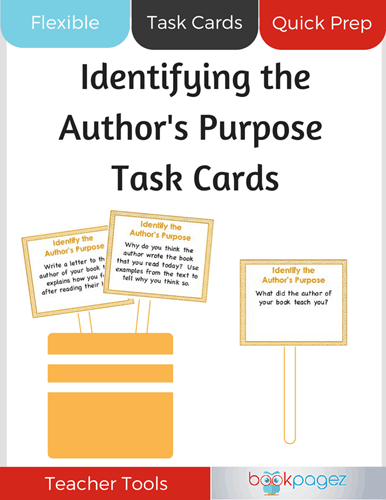 BookPagez also has lessons for working more closely with understanding the author’s purpose. This is a book you will want to take your time with. You’ll find yourself appreciating and rereading passages that are rich with voice. Woodson’s writing style compels readers to think deeply about what it was like growing up as an African-American in the 1960’s and 1970’s. Bookpagez offers valuable resources to go along with every chapter of this book. Have you had the pleasure of reading this oldie but goodie aloud to a group of children? You will feel like you are playing right along with Charlie Parker and his jazz band. The words create music all on their own with a beat that makes you want to snap your fingers and tap your feet. Pair this book with another musical adventure entitled “This Jazz Man” by Karen Ehrhardt. This is another book that will make you want to dance as you read about notable jazz players; including Charlie Parker. Melba Liston loved playing the trombone. She was an exceptionally talented player. Some didn’t see her that way, though. The color of her skin and her gender bothered people. They treated Liston unfairly, and she almost quit playing the trombone. Fortunately, her friends convinced her to play wherever she could find an audience, and her travels took her around the world. 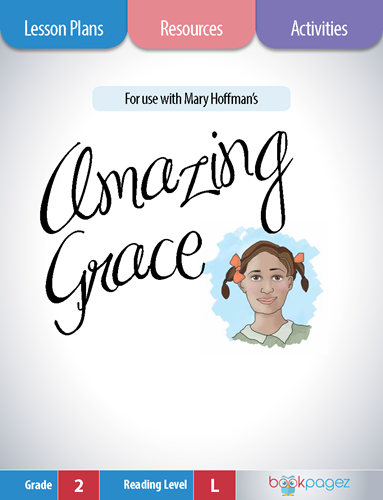 Pair this book with the Amazing Grace Super Pack to make connections with the literature. Please share your favorite picture book about the significant contributions African Americans have made to advance our country in making it a better place for everyone.